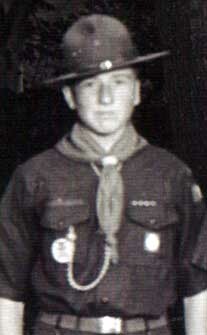 Taken at Bronxville Scout Cabin July 18th 2 days before sailing. 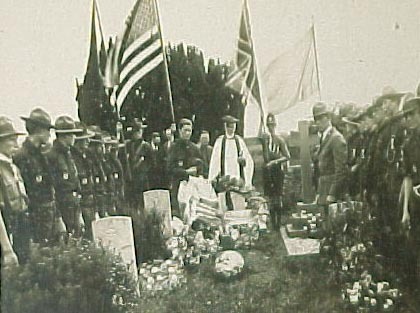 While in England, the Bronxville Troop 1 boys laid a wreath on the grave of Lt. Leonard Marange in Shotwick, England. Lt. Morange was a young man from Bronxville who had served in the RAF (Royal Air Force) during World War I, dying on active service. 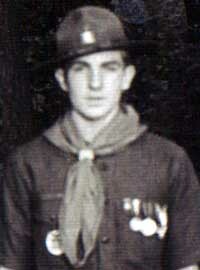 The Bronxville American Legion Post is named in his honor. 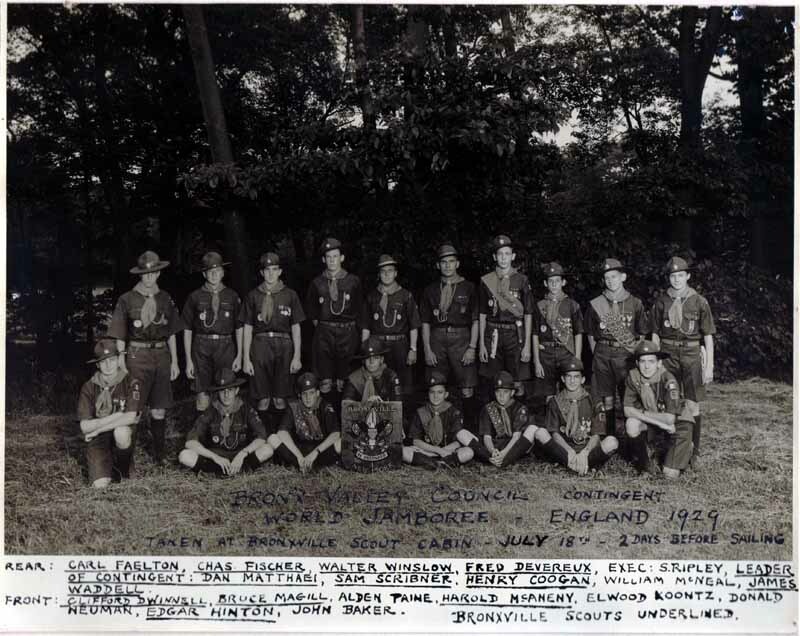 The following is a letter from Scout Executive Sherman Ripley telling of the travels of the Bronxville Boy Scouts after the World Scout Jamboree at Birkenhead, England came to an end. The story of their trip will be completed next week. Our guide told us a story, of Shakespeare's youth. We were passing a deerpark and he said, "When 'e was a lad ‘e stole a door out of this park and a gyme keeper spotted 'im. 'E made a run for it and awaye ‘e went. 'E dropped the deer and fell over this stile you see beside the road . Poachin' bein' a ‘angin' hoffence in those days 'e ran awaye to Lunnon and wrote one of 'is gryte plyes! The theater at Stratford burned down recently and another fine one is being constructed. We were interested to see the home of Marie Correlli here, also the place where she is buried. A marble angel stands over the grave. Anne Hathway's cottage, quaint and charming. should have attracted Will even without Anne's charms. The garden is very lovely. We were informed that no photos might be, taken and that a fine of one pound one shilling would be imposed if the rule were disregarded. We could understand the rule but wondered why the extra shilling? The portions, shown (Lady Warwick and the young Earl live here) are, much like an art gallery. The picture that impressed me the most was Sir Joshua Reynolds’ portrait of Mrs. Siddolls. There were several portraits by Rubens and others that I liked better Painted by Van Dyck, notably one of Charles I and another of a pupil the artist. A massive Roman urn, some twelve Feet across is shown as an object of special veneration. It was found in a lake near Rome and a conservatory has been built just to house it. On leaving the grounds I was amused and more than a little thrilled by a tame peacock that strutted up and ate chocolate out of my hand. This is the first friendly peacock I ever saw. lighted by gas, which shows how dark it is. Much furore was caused after leaving the train because Dan Matthaei had lost his camera. 'On the following day, however, it was recovered. Into this stronghold of English history, then, we plunge on Wednesday, August 14, by just going to the Tower of London. On the, way our guide showed us the statue of Sir "Enery Herving," the actor. Our guide’s lapses and liberties with the letter "H" exceed anything we have ever 'eard. Of this more hanon. The Prince of Wales Drops In For Chat. 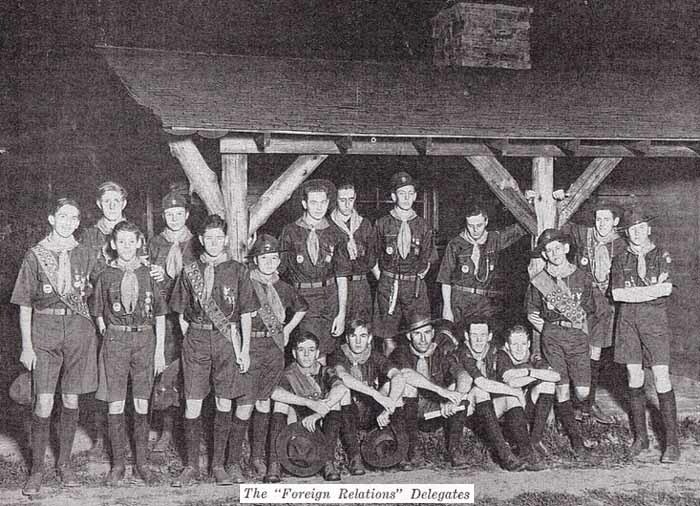 England and the various units of Boy Scouts who gathered from all parts of the world to attend have, left again for their homes, richer by the great, experience and by the contacts with boys of other lands. How varied and unusual have been their experiences is brought out in the various letters that have come from members of the Bronxville unit to parents and friends here. 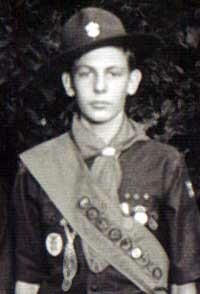 Scout Charles Fischer, Jr., son of Mr. and Mrs. Charles Fischer of Merestone Terrace, fell the honor of meeting Lord Baden Powell, founder of the Boy Scout movement. "Dear Hal. The boys are all well and having a great adventure. 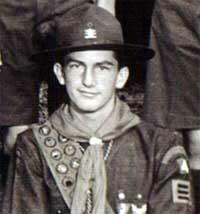 Charles Fischer met Lord Baden Powell in our office here and the Prince of Wales dropped in here yesterday. 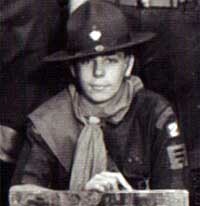 Other letters received indicate, too, the glorious days the local scouts are enjoying. "Then we went to the Liverpool Cathedral. What a beautiful place! It's a great big place and only 1/3, completed. It's been under way for, 25 years and and will take 100 more, to finish. We went in and looked around, and while we were there a service started. We stayed for it, there were some Scotch Scouts sitting in front of us. When the collection started they walked out! 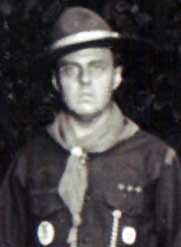 "Letters and clippings received, sent MacKinlay photographs of Camp carried Bronxville flag in Morange Ceremony. Rain better, Visited Wales. I just saw a copy of the Press and found out that I've been appointed to write weekly. Here's hoping you can get some news from this. When we landed in Liverpool it was raining in torrents. We boarded a lighter and crossed the Mersey, River to Birkenhead. We climbed in buses and rode to the Park where we found our duffle and made camp. The weather has been pretty damp for the last week. The mud all around is two or three inches deep. It's impossible to keep 'our feet dry. Strange as it may seem all of us are healthy. We paraded before the Duke of Connaught Wednesday. That was the opening day. Fifty thousand of us. It was quite a parade. It lasted just about an hour. The same fifty thousand paraded before the Prince of Wales Friday. We're constantly in touch or in association with famous men. Harold McAneny was chief orderly to Dan Beard this afternoon. 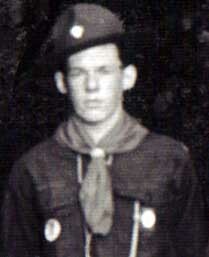 Ambassador Dawes was in camp yesterday. 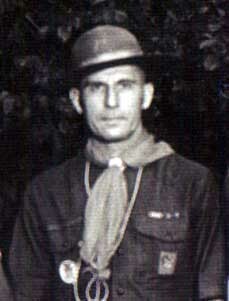 James E. West, the scouts executive, is in camp nearly all the time. The "Skipper" (Scoutmaster Dan Matthaei), Walter Winslow and I took a trip to Shotwick the other day to find the grave of Leonard S Morrange and to determine whether or not we could get a guard of honor from the airdrome. We visited the church and the vicar showed us around. The church is Gothic architecture, quite small, and dates back to the 14th century. We found the grave in the rear of the church along with six or seven other graves. The gravestone is quite simple, about two and a half feet high. I don't remember the inscription. We went to the airdromes but the C.0. wasn't there so we don’t know, yet whether we can get the guard or not. We found Mr. Liddell, the Irish -Commissioner, the other day; He's invited the Whole group for a trip to Ireland. I don't know whether we can go or not. We met Gardner Clapp over here. He is now a member of an English troop. Bobby Murphy strolled around the other day. 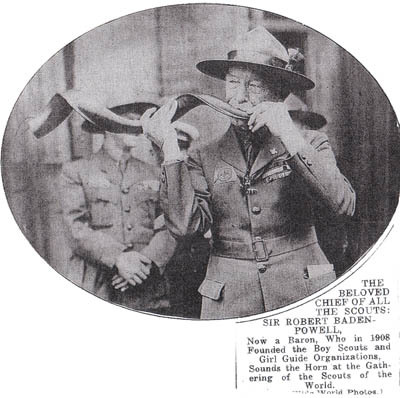 Both of these fellows were Bronxville scouts. Mr. "Mac" knows Mr. Liddell. Saturday we went to Liverpool Cathedral. It certainly was beautiful, "The little church in Shotwick impressed me more though. From the Cathedral we went to Reese's and had dinner. It was our first good meal since we left the boat. P. S. It's still raining. It's a good thing we have cots. Give my regards to Mr. Mac.(Kinlay). Same boys as named above. 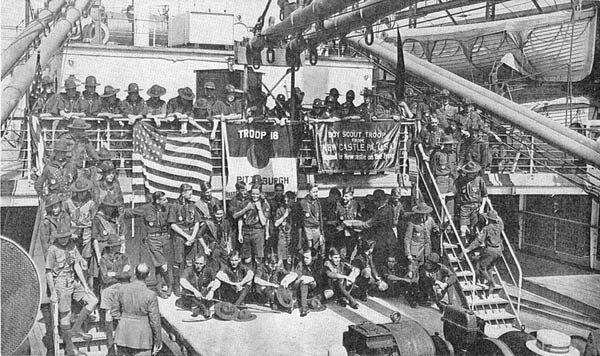 Submitted by Son of Clifford Dwinell, 3/8/2002, Clifford tall is near the center standing under the support beam, with the hat on. Next to him is Carl Faelten.